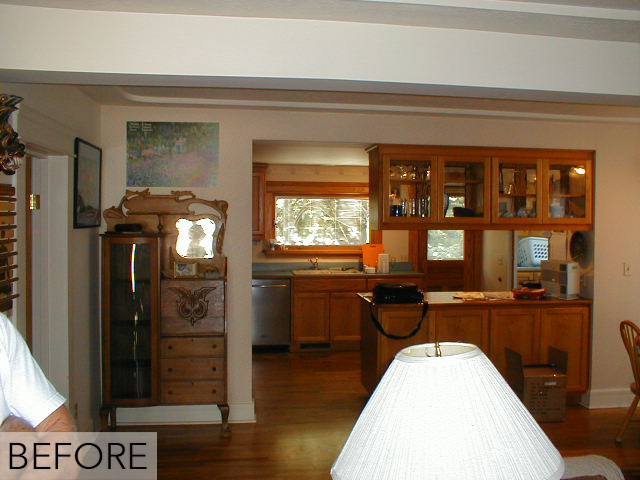 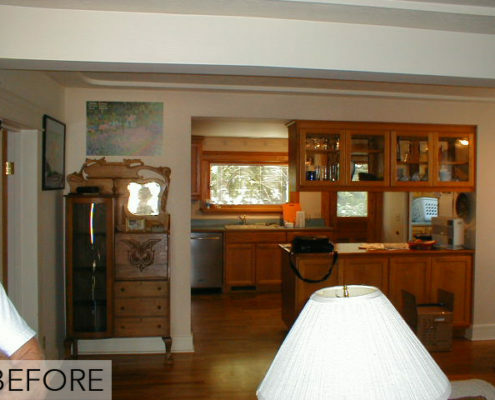 An expansive great room with a hidden cramped kitchen became crafty and conjoined. 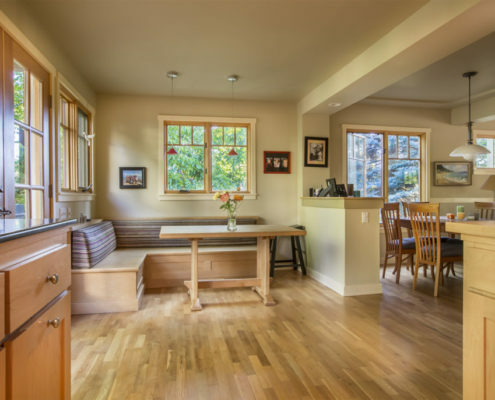 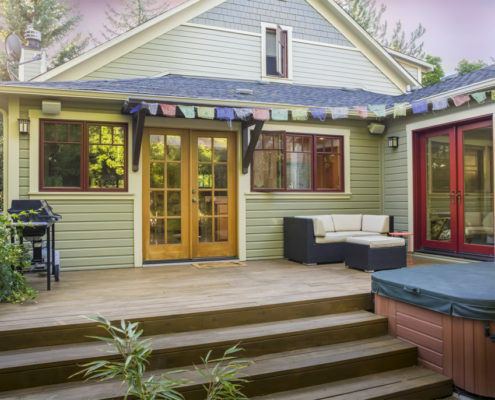 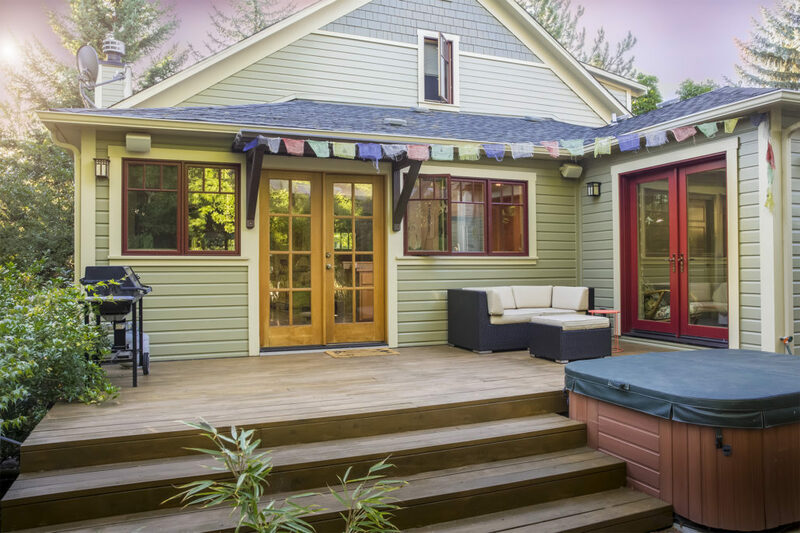 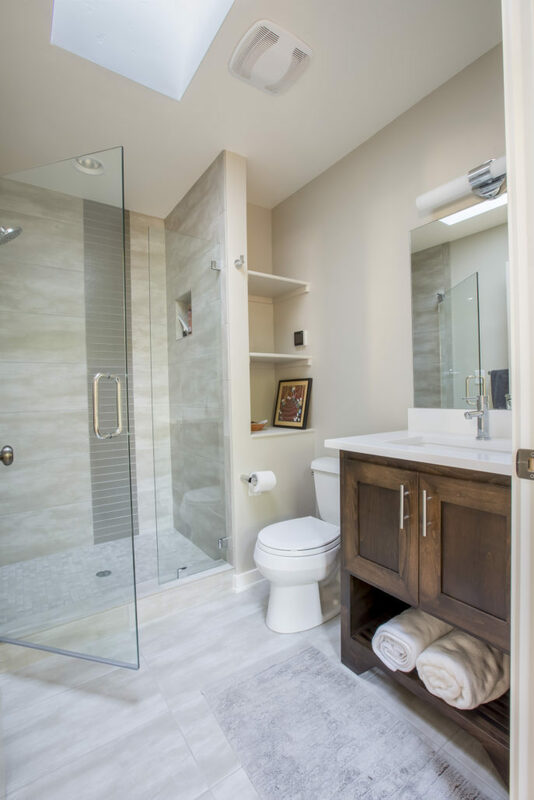 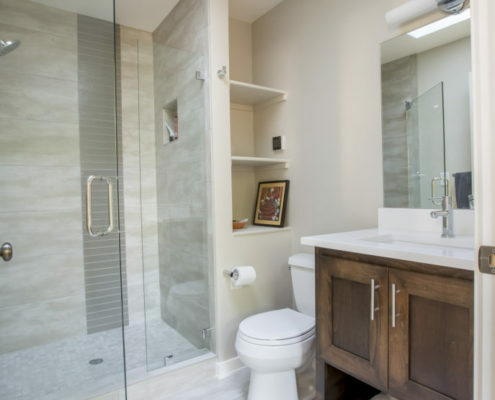 Wood accents throughout lend a natural homecoming for this 100 year old Craftsman home. 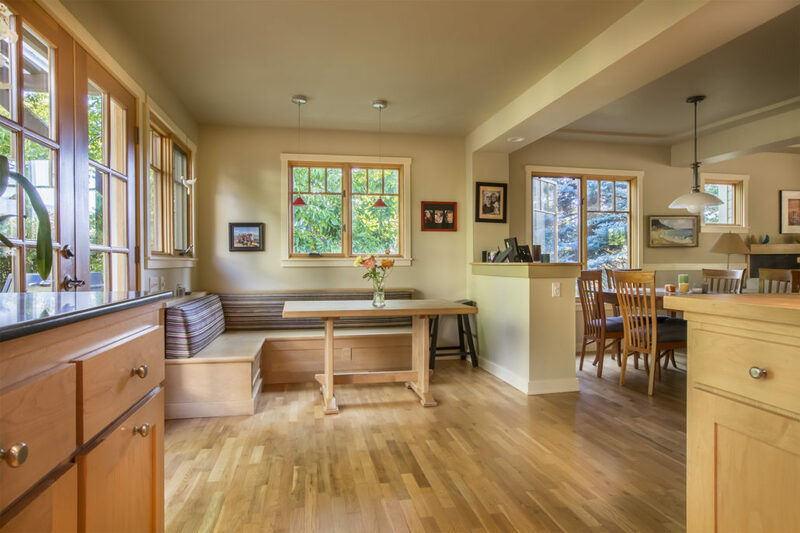 Window expansion from the kitchen and patio brought new light into the dining and living room spaces. 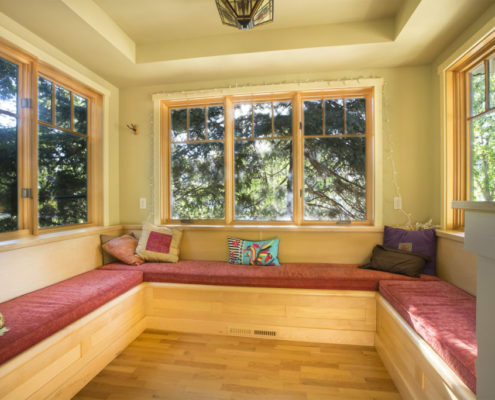 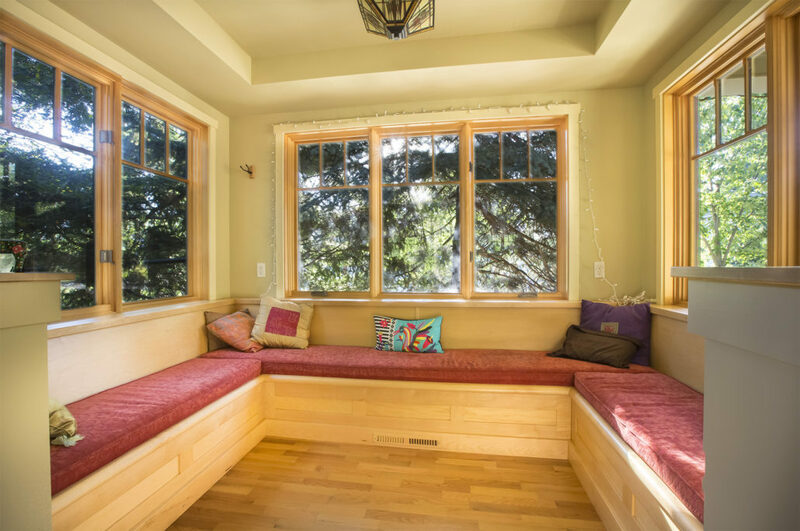 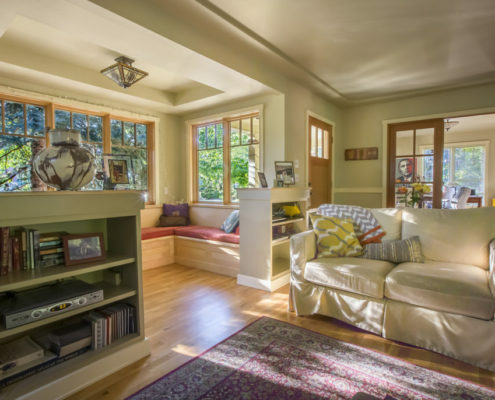 A dark storage room framed from the original front porch was transformed and integrated into a built-in windowed seating nook for reading and small group music ensembles off of the living room. 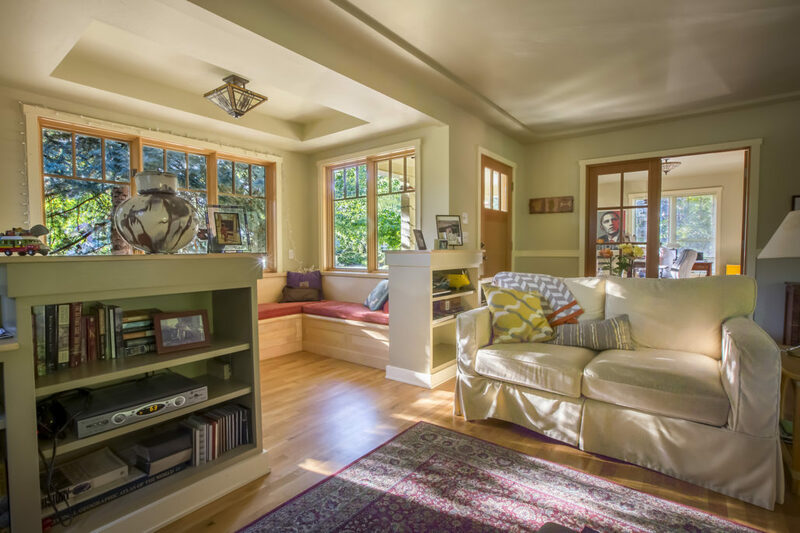 Improvements included a new fireplace that anchored the living room as well as highlighting a focal point across from an adjoining office room.